I received complimentary services in exchange for my review. As always, all opinions expressed are my own. I’ve tried every type of hair extensions. Glue in, clip in, halo, etc. You name it, I’ve tried it. But what are the best type of hair extensions? I’ve always loved long hair. I had the most beautiful hair when I was younger and I wish I had never cut it. And growing it out again hasn’t been the easiest. When you color treat your hair as much as I do (gimme all the blonde locks), you get a lot of breakage. No matter how many deep conditioning treatments I do, it just isn’t growing at the pace I want it to grow. I had been discussing hand tied (or beaded weft) extensions with my stylist and she thought I would be the perfect candidate for them. Why? Well first let’s discuss what they are. Hand tied extensions are exactly what they sound like. Your stylist puts beads on sections of your hair and then sews the wefts onto the beads. My stylist, Holly, uses the Meraki Extensions brand and has found these to be the best hair. It’s 100% human hair and can be dyed, curled, straightened, whatever. If you don’t blow dry it, it will have a slight wave to it which seriously matches my natural wave perfectly. Kind of crazy! The hair itself will last 6-8 months depending on how you care for it. The less you wash it, the more gentle you are when washing and brushing, etc, the longer it will last. 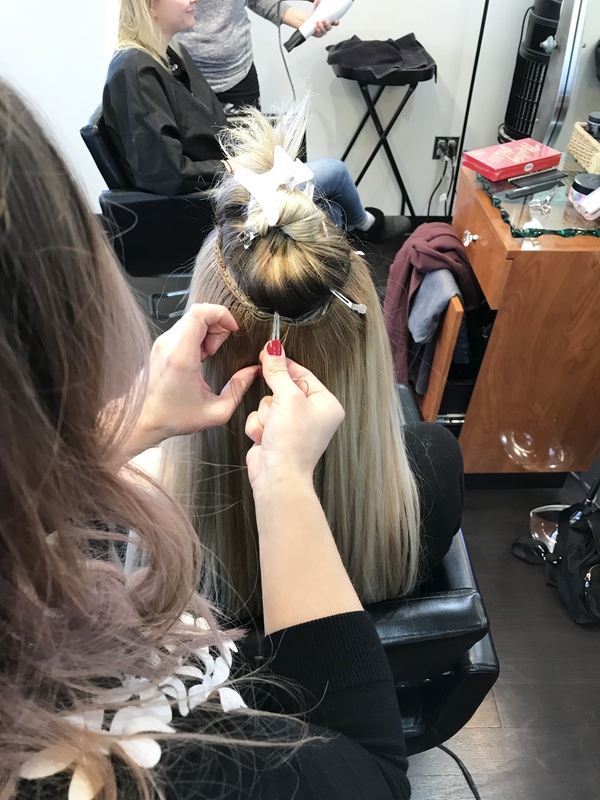 Once the extensions are in place, you’ll need to head back to see your stylist every 7-9 weeks to get them adjusted. As your hair grows out, the extensions will move down. So you’ll need to get them adjusted and moved back up closer to your roots. Some people may be able to stretch it out for more time, so people it may be less. Just depends on how fast your hair grows! How will I know the right color? 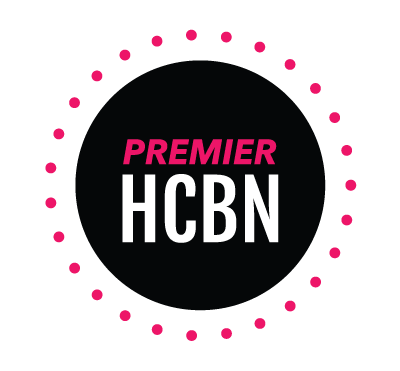 You’ll go in for a consultation and your stylist will order you the correct color to match your natural hair. If there isn’t a color to match your hair, they can be dyed to match. 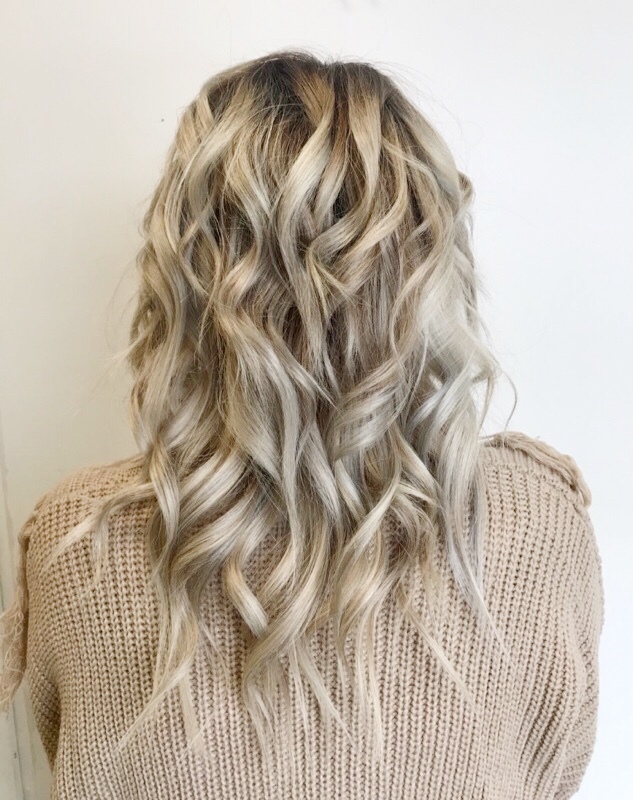 Holly likes to use ombre for a lot of her clients because everyone’s hair is usually ombre naturally (roots are going to grow in a different color). Of course she wouldn’t do that if you didn’t need them but that’s the case for most people. 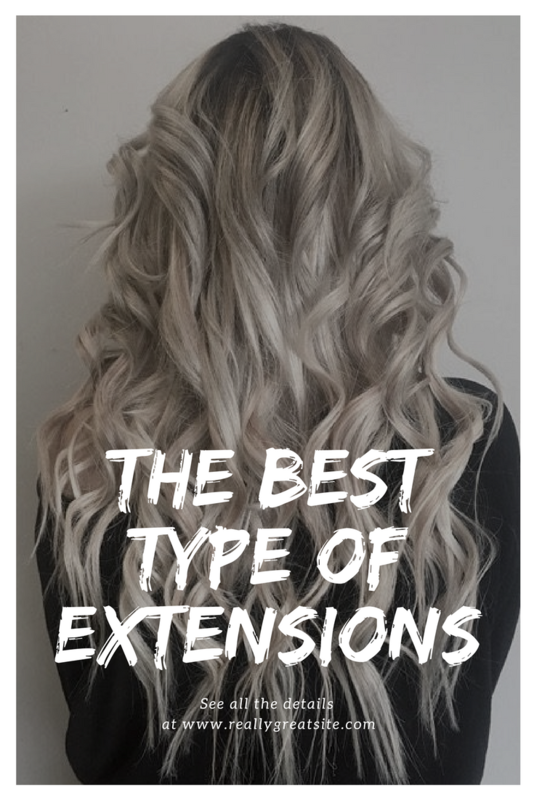 What’s the cost of hand tied extensions? For the Meraki extensions, each weft is $60. I have 6 wefts in my hair but the average is usually 4, depending on thickness of the hair. 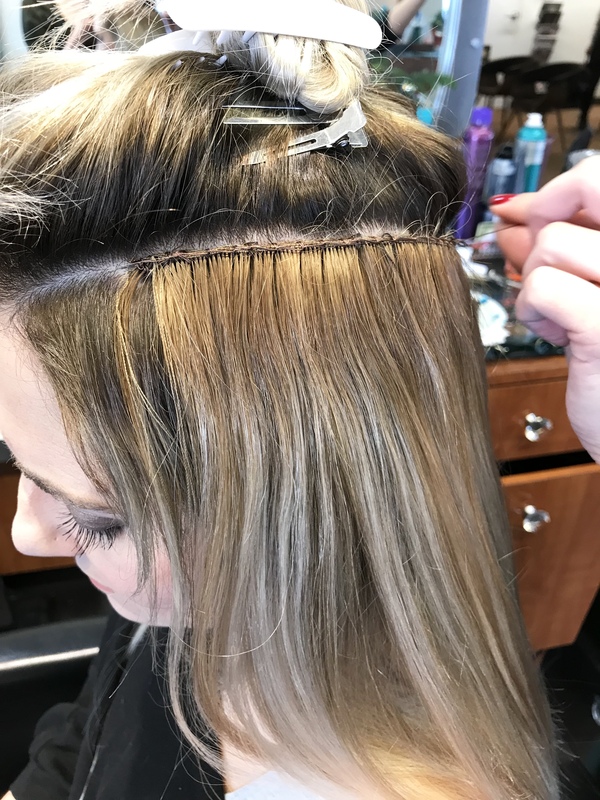 The cost to put the extensions in at the initial appointment is $360. And then an adjustment is $160. You can wash them with shampoo and conditioner when you wash your normal hair. You’ll want to use a detangler or invisible/hair oil every other day on the dry hair to keep them looking nice. You’ll also only want to use a wet brush on them (whether your hair is wet or dry) since it doesn’t pull at the hair like a normal brush. Holly also recommended only with a wet brush, whether your hair is wet or dry. She also said to brush from the ends up. 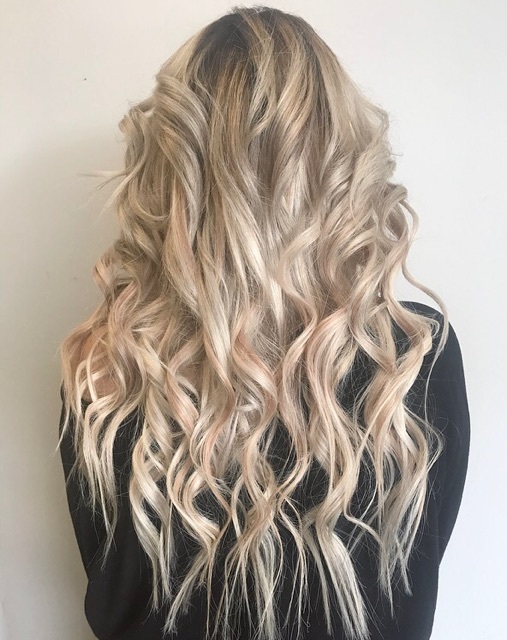 Will these types of extensions damage my hair? These are the LEAST damaging type of any extensions. 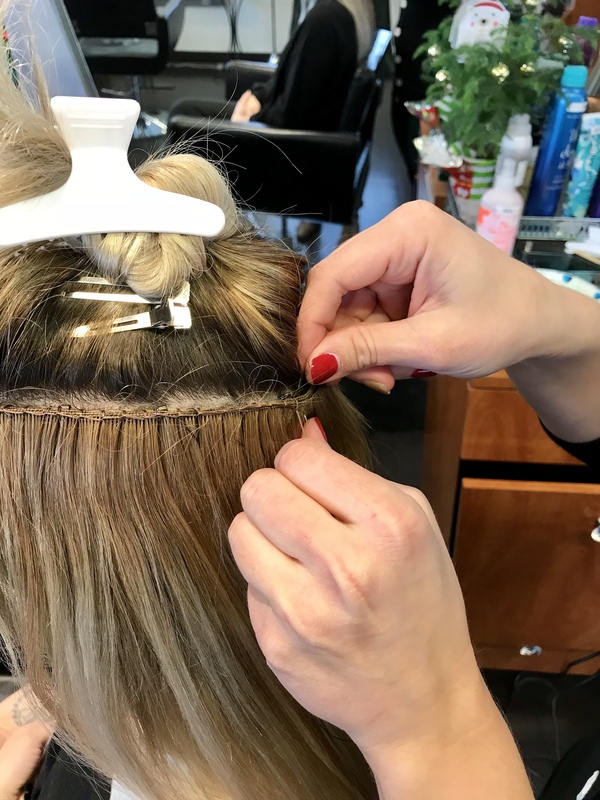 These extensions are only placed on 2% of your hair whereas other extensions (tape in, fushion, etc) are placed on 50-70% of your hair. Will they blend easily with my hair or be obvious they’re extensions? Yes. These type of extensions give you the most seamless blend. Holly trimmed them to blend into my hair as well. I’ve worn my hair up, half up, etc and you can’t see the wefts at all when styled the right way! At the initial appointment takes less than 2 hours. Pretty amazing, right? And an adjustment only takes about an hour. 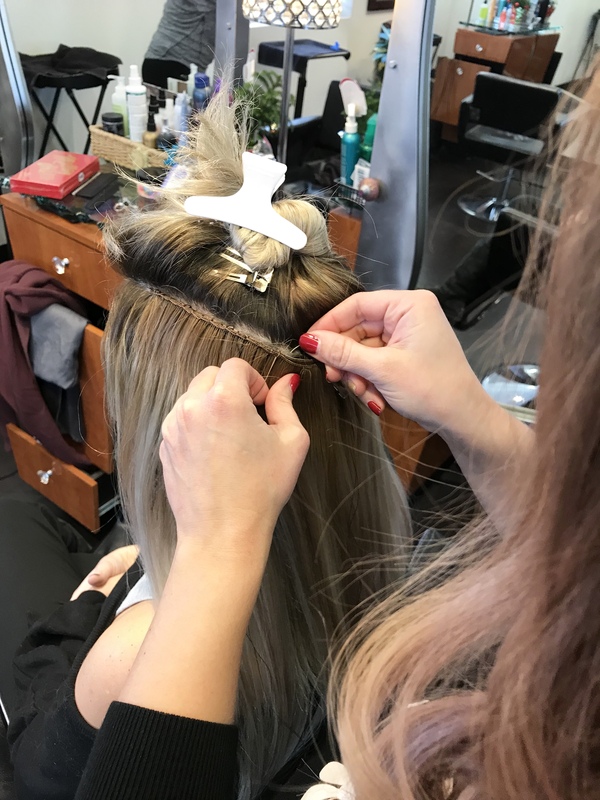 With other methods of extensions, your stylist will have to remove the glue or tape, wash the hair, dry, etc and it can take up to 4 or more hours. What makes me a good candidate for hand tied extensions? People who want longer hair but don’t have the patience or get frustrated with clip ins. People who have damaged hair and are trying to grow it out. People with thin or thinning hair (since it’s not on much of your real hair so it helps to let it grow in). If you wash your hair daily, these probably aren’t for you. I usually wash my hair every 3-4 days so I have no problem not washing these often. I won’t lie, they aren’t comfortable the first few days. That’s because they’re new, foreign, and a little tight. And you can feel them because you’re not used to them. But they soften after washing them a few times and pretty soon, you forget they’re there. But the actual process doesn’t hurt. Once they’re in, you can’t wash them for 48-72 hours. But other than that, you’re good to go! That’s something you have to decide for yourself. But for me, yes. I usually spent around $160 every time I get my hair done anyways. Which is about every 4-6 weeks. So once you pay the initial fee, it’s just like going to get your hair done like you normally do. Can we see the before and after? « Transitioning from summer to fall with shadow roots. I would like too know how many weft’s you need ? I have 6 wefts! It just depends on how thick and long you want it! I’m so glad I came across your post on google! I’m sold! Yay so glad! Let me know if you have any questions!